The World Happiness Report ranks Canada the happiest country in the G7 and sixth out of 158 countries globally while The World Health Organization ranks Canada ninth in the world for life expectancy. Ontario has the highest rate of post-secondary education attainment among OECD countries. Toronto is more affordable than all Asian cities and nearly every U.S. city, including New York City, Los Angeles, San Francisco and Boston. According to The Economist’s Safe Cities Index, Toronto is the safest city in North America, and ranks ahead of Amsterdam and Melbourne globally. Ontario is one of the 13 provinces and territories of Canada and is located in east-central Canada. It is Canada’s most populous province accounting for 38.3 percent of the country’s population, and is the second-largest province in total area. Ontario is home to the nation’s capital city, Ottawa, and the nation’s most populous city, Toronto, which is also Ontario’s provincial capital. Ontario’s workforce exceeds six million people. Located within a day’s drive of more than 40 percent of North America’s population, this central location, along with its competitive business costs and highly skilled workforce, make it attractive for industries like tourism, aerospace, automotive, chemical and biochemical, financial services, food and beverage manufacturing, life sciences, information technology and mining. Ontario is home to one of the largest manufacturing sectors in North America, making it one of the top economic leaders on the continent. The highly diversified economy includes the full range of advanced manufacturing, business services, renewable energy, life sciences, natural resources, research and development and more. Companies with significant operations in Ontario include Accenture, AIG, BASF, Labatt and Siemens. Ontario’s transportation infrastructure is connected to U.S. and global markets. The province’s transportation system includes highways, internationally connected railways with advanced traffic management systems, worldwide cargo aviation systems and extensive inland and international marine shipping facilities. Ontario has 14 land border crossings into the U.S. in addition to rail border crossings, ports and airports. Ontario has five international airports, including Canada’s largest airport, Toronto’s Lester B. Pearson International Airport. Ontario’s population of 13.8 million people accounts for one-third of the population of Canada. About 67 percent of Ontario residents between 25 and 64 have completed post-secondary schooling at one of the 20 public universities and 24 colleges located throughout the province. The transportation and logistics industry has been on the rise in Ajax since before 1010. Ajax is now currently home to the 1.1 million sq. ft. Loblaw Cold Storage Distribution Centre and Volkswagen Canada Headquarters, among many others. When it comes to the transportation and logistics industry, Ajax boasts many keys to success. First on the list? Location, location, location. Situated just 20 minutes east of Toronto, Ajax is part of the Greater Toronto Area and located within a day’s drive to over 120 million customers who represent over one-third of the North American marketplace. These markets are accessible by modern transit infrastructure and major series highways including Highway 401 and the Highway 407 Express Toll Route. For national and overseas markets, Ajax is easily accessible by air, water and rail – both Lester B. Pearson International Airport and Oshawa Municipal Airport are within close proximity, as is the Port of Oshawa, which according to the Government of Canada, handles approximately $23 million CAD of cargo annually. Adding to Ajax’s central location, is the availability of affordable, serviced real estate and a commitment to help get shovels in the ground sooner. 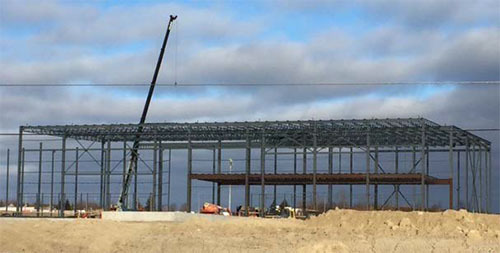 Much of Ajax’s employment land is shovel ready, and backed with the award-winning PriorityPATHTM program, a streamlined municipal process for business expansion – with now over $250M of investment already facilitated through the program. With PriorityPATHTM, businesses can expect reduced red tape and a business investment climate that is understandable, timely and customer-driven., Gordon Food Service took advantage the program and recently broke ground on its 330,000sq.ft. 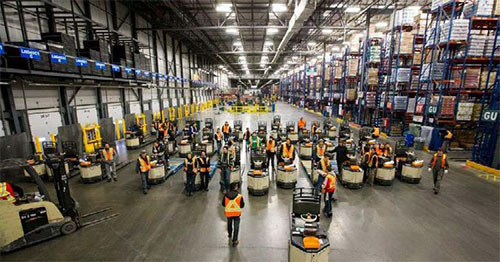 state-of-the-art warehouse that supports the distribution of food service products across Ontario. Moving rapidly into the innovation of logistics, Ajax is supportive of new technologies including; data analytics, blockchain, artificial intelligence, and of course the work force demanded of the industry. Ajax offers a regional, skilled workforce and access to industry specific education and job training. 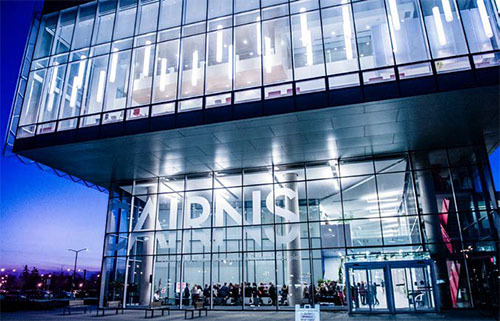 Local educational institutions, including the University of Ontario’s Institute of Technology, offers specialized programs in automotive, electrical and chemical engineering; and logistics-focused programs in business, AI, project management and corporate training are offered at Durham College. 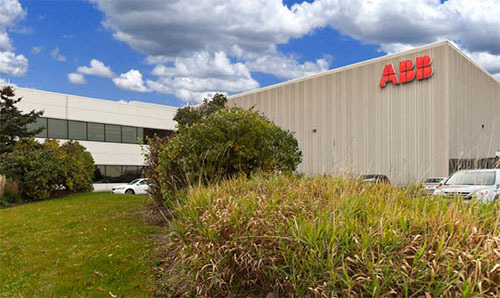 To learn more about why Ajax is the logical choice for the logistics industry, visit ajax.ca/business. An ecosystem of support, a pipeline of talent and an environment that inspires greatness — that’s what’s fueling the booming manufacturing sector in Barrie, Ontario, Canada. The sector’s growth is one reason this Canadian gem is not so hidden anymore. Barrie is nestled between freshwater lakes, forests and ski hills. It sits on the edge of a world-renowned cottage country. And it’s only an hour’s drive from Canada’s largest city, Toronto. Lifestyle is just the beginning. The city has its own airport with Commercial Port-Of-Entry status. It’s directly connected to the province’s highway network. And it’s home to the Peter B. Moore Advanced Technology Centre, a new 56,000 square foot research and education facility at Georgian College, Barrie’s award-winning post-secondary institution. Designated a primary urban node by the Province of Ontario, the city’s population is 150,000 and is expected to reach 210,000 by 2031. Its residents are skilled and young, with an average age of just 38.9 years. And the area continues to attract people seeking affordability, opportunity, and the four-season, family-friendly lifestyle. The equation for potential is straightforward, and it was only a matter of time before forward-thinking business leaders would recognize the possibilities in Barrie. Today, the city’s manufacturing companies export to various global locations, including the United States, Mexico, Brazil, Germany, and China. Barrie’s prominent manufacturing sub-sectors include plastics (plastics, chemicals, resin) and metals (sheet metal, machining, welding, CNC fabrication, aluminum, tool & die). The city has a growing presence of automation companies with expertise in robotics, electronics, mechanical and computer engineering, as well as a strong showing of Tier 1 and Tier 2 automotive parts suppliers. In the last year, local manufacturing businesses have received millions of dollars in funding designed to spur further growth. Plus, Barrie’s low cost of doing business helps manufacturers stay competitive internationally. This includes the benefits of operating in the Canadian market — universal healthcare, high R&D tax incentives and the favorable exchange rate. Are you ready to investigate Barrie for your business? Contact the Invest Barrie team at 1-705-739-4220 or Invest.Barrie@barrie.ca. The City of Brampton is one of the youngest, fastest growing, most diverse cities in Canada with strength in advanced manufacturing, logistics and technology companies. Brampton’s is a connected city that is innovative, inclusive and bold. A hub of jobs and innovation. With a population of over 600,000, Brampton is the ninth largest city in Canada and the third largest in the Greater Toronto Area (GTA). Brampton is the second fastest growing city in Canada, averaging 14,000 new residents per year. With a median age of 36.5 Brampton has, the lowest among Canada’s largest cities. Brampton has transformed its economic development approach to take advantage of high growth business sectors like advanced manufacturing. Brampton’s competitive advantages include its established base of over 900 manufacturers in automotive, metal products, etc. and the access these companies have to their customers through our proximity to multi-modal transportation. Brampton is conveniently located adjacent to Canada’s largest airport, Toronto Pearson International, as well as home to CN’s Intermodal Railway Terminal, the largest intermodal railway terminal in Canada. Brampton is also at the centre of Canada’s major transportation corridors and close to the U.S. border and as a result the city thrives on a fast and efficient movement of goods. 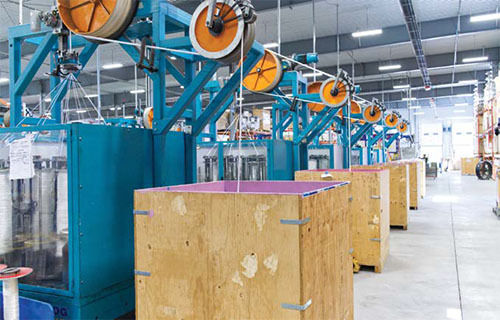 With a highly diversified economy, a steady flow of labour and a strategic position in the middle of the Innovation Super Corridor, Brampton’s advanced manufacturing sector is a growing into a world class powerhouse of production. Advanced manufacturing is the largest sector in the city, accounting for twenty percent of its total workforce. From Fiat Chrysler Automotive (FCA) to ABB Robotics, Brannon Steel and Almag Aluminum Inc., Brampton’s advanced manufacturing sector is home to both multinational organizations and family owned businesses that have stood the test of time. Brampton’s advanced manufacturing sector will also benefit from the federal government’s announcement of funding for an Advanced Manufacturing Supercluster under the Government of Canada’s Innovation Superclusters Initiative. The City has been actively engaged in the process, and will remain engaged as funding decisions are made by NGen Canada. Why is the most eastern lakeshore community in the Greater Toronto Area undergoing a flurry of investment over the past few years? What does Clarington offer in comparison to other municipalities in Ontario, Canada? Why is there over $14 Billion being invested in infrastructure projects? The Population of Clarington is fast approaching 100,000 and expected to increase by more than 45% by the year 2031. With a community of over 5,000 businesses and growing workforce, Clarington offers what investors, businesses and employees desire: unique quality of life, affordability, proximity to market and amenities, business support and a progressive, engaged community. According to the Municipality of Clarington’s 2017 Growth Trends Review report, residential construction is booming. The total value of building permits in the Municipality increased by $38.4 million from 2016 to 2017; that is an 11.2 per cent jump. Clarington’s non-residential building permits also more than doubled, increasing by $28.4 million in 2017. Year-to-date in 2018, compared to last year in 2017, there is a 30.2% increase in building permit value which represents an $83.6 million increase. “This shows that Clarington is a great place to live and work. Clearly, companies are also setting up shop in the Municipality providing more employment opportunities,” said Clarington Mayor Adrian Foster. Eyes are on Clarington as the place to grow for new business, local expansion or redevelopment. Site preparation for Toyota Canada Inc. 350,000 square foot eastern Canada Parts Distribution Centre is well underway in east Bowmanville. A $40 million investment and bringing more than 100 jobs, they are projected to be in operation by fall 2019. Clarington’s economic strength stems from a diverse business community. The municipality has more than: 100 manufacturers, 400 working farms, 300 retailers. There is also a growing life/health science sector and numerous tourist attractions. One of the largest attractions is Canadian Tire Motorsport Park (CTMP) who hosted the first-ever Formula One Canadian Grand Prix in 1967. Today, their calendar of world-class events attracts over 500,000 visitors annually. Their racing events include series ranging from the high-tech machines of international sports car racing to fender-rubbing NASCAR action. Community growth brings infrastructure investment. Clarington is home to four of the top 100 largest infrastructure projects in Canada. Over $14 billion is being invested, creating thousands of jobs. Projects currently underway are: Ontario Power Generation’s Darlington Nuclear Generation Station’s refurbishment which will extend station operations for 30 more years; Port Granby environmental remediation project; Highway 407 east extension; and plans are underway to extend the GO Train to Clarington, with two stations to be in service by 2024. It is estimated that over 60 development sites will surround these stations – creating opportunity for investment and job creation. Contact the Clarington Board of Trade & Office of Economic Development and you’ll find a team driven by purpose, professionalism and passion. CBOT challenges status quo every day as it supports existing and future business investment. Please visit cbot.ca for more information. The Economic Development Department of the Town of Ingersoll is here to assist business, entrepreneurs and developers with tools to create long-term prosperity in Ingersoll. The Town’s Economic Development Program, under the leadership of the Mayor and Town Council, involves a blend of individual and group initiatives – each engaging multiple stakeholders and selected as part of a comprehensive strategy to stimulate the economy of the community in a variety of ways. Ingersoll is committed to: supporting innovation and entrepreneurship including the creative and knowledge-based economy; removing barriers to business and industrial growth; ensuring business infrastructure is in place in local communities; fostering sector and business cluster relationships; and sponsoring strategic skills development in the existing workforce. For more information on the Town of Ingersoll, please visit ingersoll.ca or call 519-485-0120. Imagine a region located between two of Canada’s major cities, with available shovel-ready land located close to major highways, ports, airports, railways and borders, and easy access to major markets. Prescott and Russell is located in Eastern Ontario, named by Site Selection Magazine in 2018 as one of the Top 10 among Canada’s Best Locations for Site Selectors. Prescott and Russell is located less than an hour from Montreal and Ottawa, 100 kilometers from the U.S. border, and close to the GTA. With its 93 ready for investment sites, Prescott and Russell offers shovel-ready vacant land with fresh water, high-speed internet, and a robust electric power system – making the region ideal not only to build your business project, but to run your business efficiently. In Prescott and Russell, agriculture, manufacturing, and warehousing converge to make and store local, organic food and specialty productions. From craft brewers to environmentally conscious products, the region is ready to provide convenient and diverse warehousing options, wholesale distribution centers, and a large and reliable freight transportation hub. 4.7 million people living within a one-hour drive. Innovators create and sell more products through an abundant “ready to ship” supply chain. For more information about Prescott and Russell: http://bit.ly/investUCPR. Ontario’s 5th largest census area boasts an ideal location. Ontario knows how to move goods and get investment flowing. The province accounts for nearly half of Canada’s manufacturing GDP and ranks third in all of North America when it comes to attracting FDI. The City of St. Catharines, in the world-famous Niagara region, is ideally located for businesses seeking a strategic base of operations. It’s less than an hour from Toronto, and only a half-hour to Buffalo, via four international bridges responsible for more than $100 billion in trade. St. Catharines is a natural logistics hub: it hosts the terminus of the St. Lawrence Seaway’s Welland Canal, it connects directly to major U.S. railways, and it offers four international airports within commuting distance. Its binational business culture is well-oriented to trade. Operating within Ontario’s first designated Foreign Trade Zone Point (FTZ), businesses in St. Catharines have ready access to export incentives and support. Canada is recognized as a springboard for businesses seeking to reach global markets, thanks to its membership in multilateral trade agreements such as CETA, TPP and most recently, USMCA. The city’s logistics infrastructure, proximity to the border, and open-for-business attitude are all major factors helping companies succeed. In 2018, the National Bank of Canada ranked the St. Catharines-Niagara economy as having the second strongest momentum in all of Canada. St. Catharines is a hub for innovation. General Motors is collaborating with local partners to build a 6.4 megawatt co-generation plant, using renewable landfill gas to power and heat its 2-million sq.ft. propulsion plant. Once online in mid-2019, clean energy will power approximately 32 percent of the plant – the most of any GM operation worldwide. Two major local post-secondary institutions contribute significantly to the innovation scene by engaging with local businesses. Brock University’s Biolinc facility promotes the growth and commercialization of technology-focused initiatives. 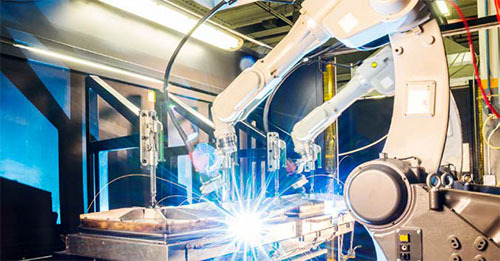 Niagara College’s Advanced Manufacturing Innovation Centre solves automation, process improvement and product development challenges in real-world business settings.